In this sizzling sack of eight icky tales, now with a nifty new look, is there any evil deed that Horrid Henry DOESN’T do? Whether he’s being banned for life from the supermarket, wearing the wrong underpants (with terrible results), setting off the world’s smelliest stinkbomb or wreaking havoc at Restaurant Le Posh, beware! You might hurt yourself laughing! 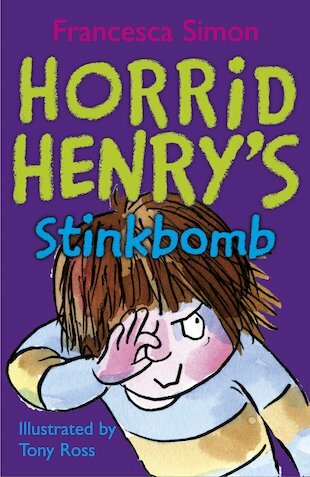 Horrid Henry’s Stinkbomb was very smelly and funny My Mum could not read it.